Description : En bois. Hauteur : 36 cm. Largeur : 24 cm. 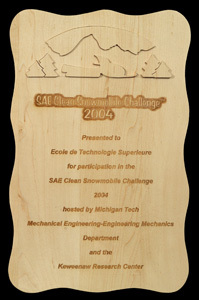 Prix : Mechanical Engineering-Engineering Mechanics Department and the Keweenaw Research Center.